Working in seasonal industries like travel and hospitality is challenging, to say the least. You’ve either got tons of people making reservations on your site or hardly any, forcing you to constantly review your marketing budget spending. The good news is it doesn’t always have to be like this. 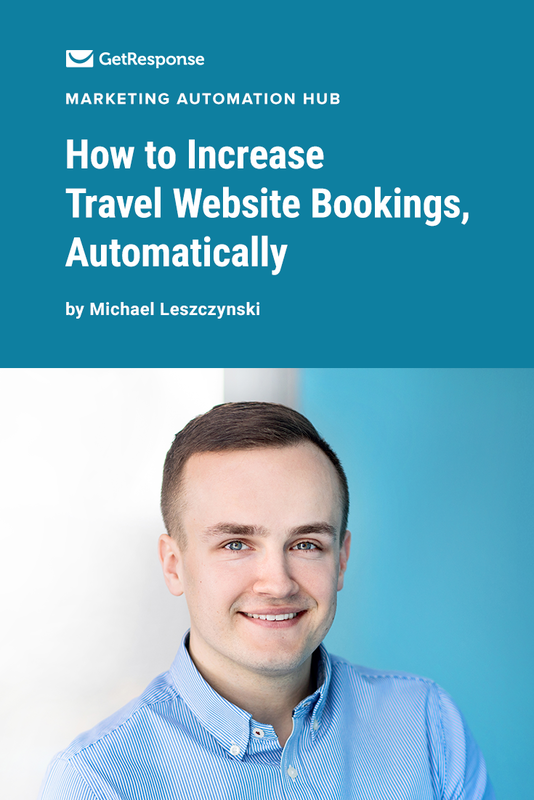 What I’m about to show you is how you can increase your travel website bookings throughout the whole year, with the use of marketing automation. Let’s first look at the why, not the how. Why bother about any of the tools like email marketing, marketing automation, social media, and what not? The answer is quite simple. We’re all people. We’re physically not able to be in the office 24/7. We’ve got hobbies, friends, families, and whether you believe it or not – we even sometimes need to catch up on sleep. It’s also not efficient to hire more people to get them to do everything you’re doing, if it’s something a simple piece of software could do instead. Especially if it’s at a fraction of the cost of employing someone new. 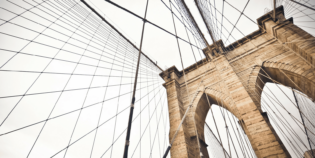 Marketing automation, just like the name implies, is meant to help you become more efficient by automating some of your recurring marketing activities. Which ones exactly? I’ll talk about that in the next section. Is it worth it though? Marketing automation messages have long been praised for delivering an even higher engagement rates than email. And email marketing has been rated as the most effective online marketing channel in our recent study. Of course, these channels can’t be separated. You have to sync them and make them work together. 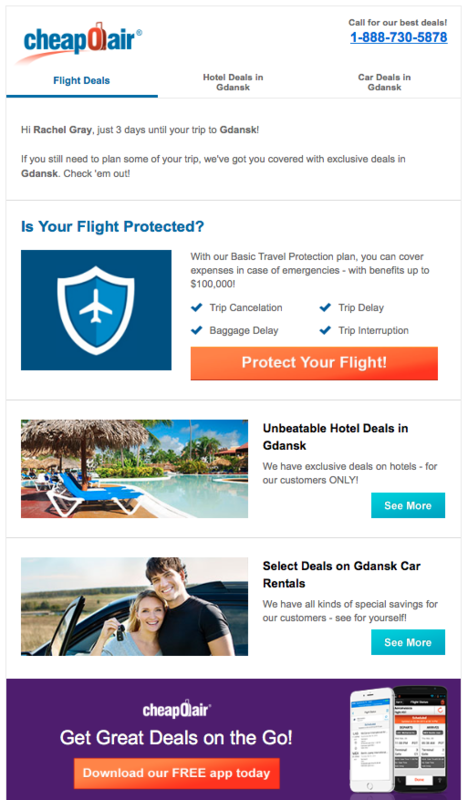 Let’s now dive into the ways hospitality, leisure, and travel industries can benefit from using email and marketing automation technology to increase website bookings all year round. Onboard new users and track their behavior. 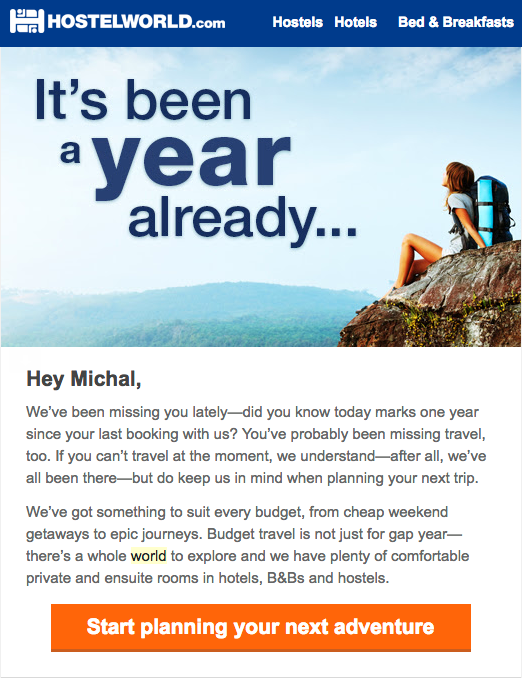 First of all, I’m going to assume that if you’re working in the travel or the hospitality industries, you’re already building an email list. If you’re not, here’s a quick ebook that will help you get up to speed with this task: 21 ways to build your email list. Now if you’re building a list, it’s most probably through an online form where a user has to fill in their contact details, such as email, name, and maybe their city. That’s some data to start with. When someone signs up to your list, they should receive an automatic welcome email or even a whole onboarding series. Why? First of all, to show your gratitude that someone entrusted you with their personal details. Secondly, to start building a strong relationship and guide them to the most important places on your site, e.g. 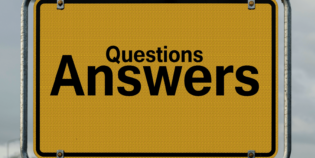 where they can place a reservation or find the answers to the most frequently asked questions. 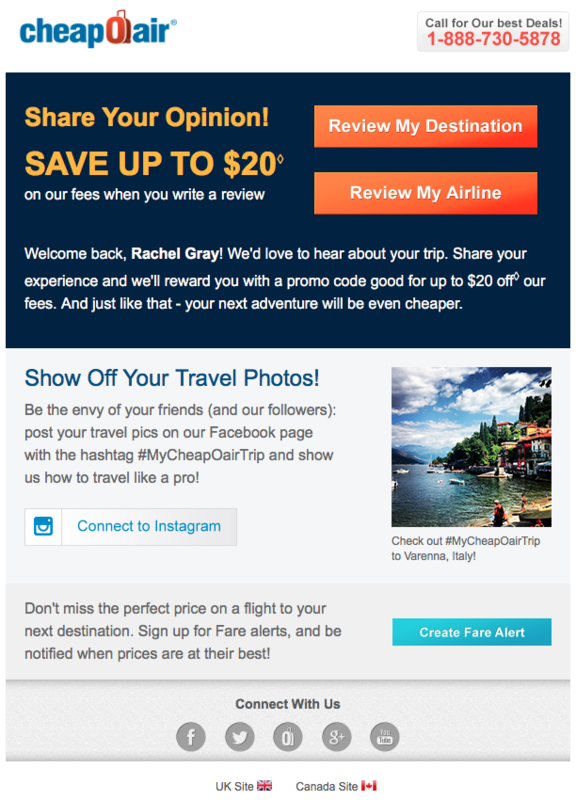 In your welcome emails, you can also include some of your best offers from different categories – short-term weekend trips, last-minute deals, vacation rentals, and so on. Make them short, beautiful, and actionable, so your subscribers click through to your site. The main purpose of all of this is to onboard new customers, i.e. get them to engage with your website and get them used to it. It’s also to start tracking them. To collect the data about their preferences and use it later to present them with offers they’ll find relevant. Segment them based on the purpose of their stay. The next thing you should do is to mark down the purpose of your customers’ stay. Why did they decide to choose this location and this particular time? Was it for business or a short out-of-town trip with the family? Or maybe a weekend trip with friends? Their reasons might be different and to make your claim effective, you have to appeal to what’s really important for them. So make sure you mark these differences down, then target your campaigns accordingly, i.e. adjust the visuals, copy, and timing of your emails and paid ads – you’ll definitely get more bang for your buck! Segment your customers based on their past choices. If you want to communicate even more effectively, then you need to pay close attention to what your customers choose when they book with you. Take, for example, the room type that they chose. Was it a premium penthouse, a budget option, or maybe a room with a view of the pool? Then go beyond that. Did the customer ask for a smoker friendly room or optional breakfast, did they use the spa lounge? Or think about the hotel itself, what makes it so special? Maybe it’s located next to the highway? Or it’s the opposite – it’s secluded, deep down in the middle of a national park, surrounded by trees and beautiful scenery? Information like this can help you build a rich customer profile. Just tag your customers in the system according to the choices they’ve made, and target them with the right offer next time they’ll be thinking of traveling out of town. Target them when the time’s right. When looking closely at your customers, I’m sure you’ll find some other characteristics that will help you divide them into a number of useful segments. One example I haven’t discussed yet is the preferred time of the year they choose for traveling. Some like to travel in winter – they love skiing, snowboarding, or just sunbathing while seated comfortably on a sunbed next to the slopes. Others might be into the summer season – lying on a beach, swimming in the ocean, or walking around the ancient town of Rome in the scorching sun. These preferences should help you personalize the communication better and send it at the right time of the year. Take into consideration not only when people choose to travel, but also when they’re making the initial decision to go on a trip. Perhaps they have to notify their boss ahead of time, before they can plan time off. Or maybe they’re working in an industry that only allows them to leave on vacation in a particular month? Take this information, tag your customers, and schedule your ad campaigns ahead of time. 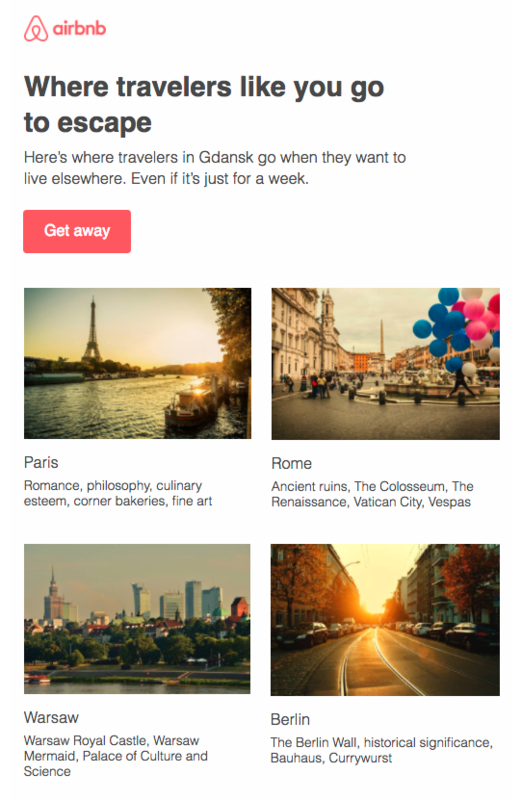 Present the images that relate to the type of a trip they might be most interested in, send newsletters that go in line with them, and convert customers efficiently. Retrieve them when they’ve shown interest. Cart abandonment is a challenge that not only online stores have to face. Your travel website most definitely experiences it too – visitors who search through the offers, look into a few that they like the most, compare them, are about to make a reservation, but in the end decide not to do it. Perhaps they need to talk it over with their partner or call up their friends to see what their plans are. Whatever the reason, you should try to get them back onto your site. If someone’s already made it through your site, got familiar with it, or maybe even booked with you in the past – you have to give it a try and win them back. To get this done, you should get familiar with remarketing, through email, SMS, or paid ads. Send automatic messages and follow up with your audience after they’ve left your site without making the reservation. In some cases, you should send more than one cart abandonment email to get the best results, other times one will be enough. 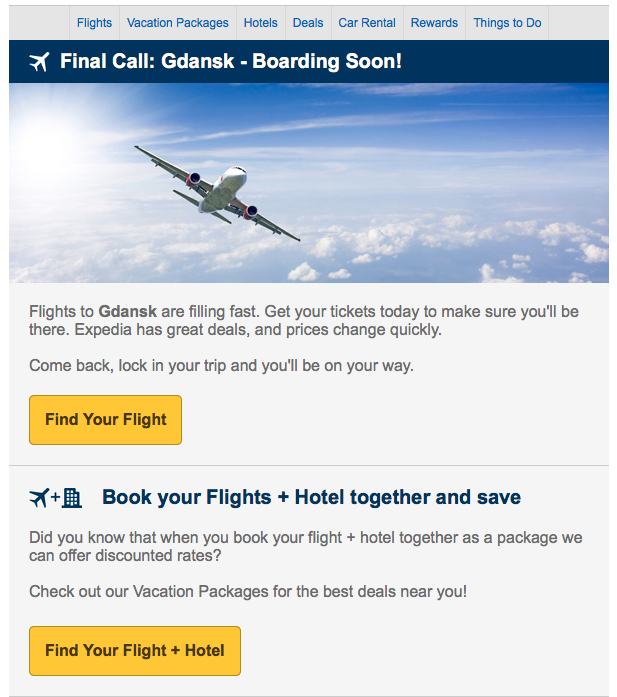 In terms of displaying retargeting ads, you have to test what’s going to work best – you can, for example, show ads to your visitors for 2-3 days, then pause them for two weeks, and show them again for 1 day only, but just for those people whose trip is still some time away. This way you’ll only spend a fraction of the cost you spent acquiring the lead in the first place, and will get a second chance to convert them when they’re likely still interested in the offer. Answer this one for me. How often do you actually travel? If you do it for business, chances are that even multiple times every month. If you do it for leisure, then maybe just a few times per year, for a couple of days, and then only once for a longer trip. Now does that mean that the second group shouldn’t get any communication from you throughout the entire year, and only receive emails before their chosen season starts? Let me answer that for you – of course not. The fact that your customers won’t be traveling anywhere far away for most of the year, doesn’t mean they won’t be keen on going out of town somewhere nearby. Offering them something that’s just a few hours’ drive or a short plane-trip away from their location, can motivate them to plan a short, spontaneous, and fun trip! That’s why you should keep the location of your customers in mind. This way you’ll stay relevant and get a chance to help them plan a trip to get out of the office once in a while. Some even say that planning is the best part of the trip, so why not try it out a few times a year? People like to be treated like they’re VIPs. They want to be appreciated by other people and brands they interact with. That’s why if you want to truly engage with your audience, you need to show that you care about them. 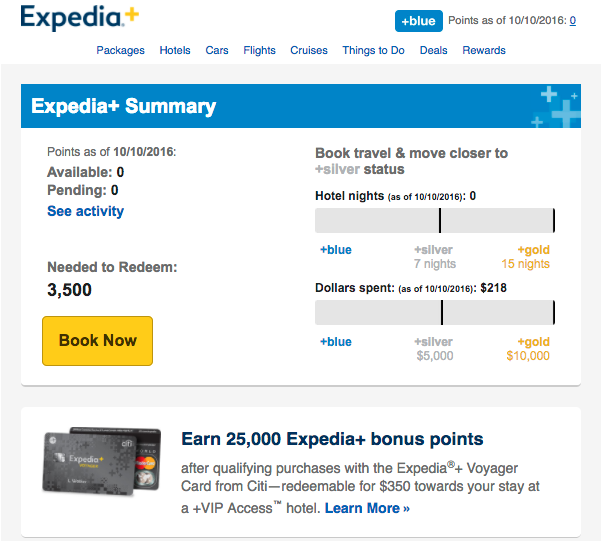 Take a look at how often your returning customers book with you. There are probably some who haven’t made their first booking yet, but there’s a chance that there are also those, who keep coming back. They’re the repeat buyers who are loyal to your brand. But for how long? That depends on you. Even if you don’t have to keep winning them back, it’s nice to show that you reward loyalty. Offer your loyal customers something special, loyalty points that they can exchange for discounts, free room upgrades, or maybe other great deals nobody else would get. This way your customers will stay happy and keep coming back. And who knows? Maybe they’ll recommend your service to others, because a happy customer is the best type of advertising you can get. Ask for reviews and remind users of the good memories. Another way to get people engaged is to ask them to review their recent stay and share their opinion with others who plan to book a place with you. It’s got a number of clear benefits for which you should pursue this method, so read on. First of all, you’ll get another chance to interact with the customer. If they were happy with their stay, they can share their opinion, which might convince others to book a stay with you. At the same time, while they’ll be re-living the great experience, they might even feel inspired to book another stay! On the other hand, if they weren’t completely satisfied, then you’ll have a chance to alter their experience and win them back. Offer them something extra, answer their concerns, and make it a success story. Others will see it and it might just make them see you as a trustworthy brand. To get this done, you can create a simple automated email workflow asking for an opinion. If they leave feedback – great, thank them and maybe even serve them something special in return. If they don’t, try one or two more emails a week or two later. Don’t overwhelm them, but do make sure they know how long it takes to leave the review and what the benefits of doing so are. Getting reviews has another advantage. You can use your customers’ opinions and remind them of those good memories some time in the future. Let them know six to nine months later it’s time to brush the dust off their suitcases. Maybe you can even say how many people have liked and thanked for their previous review. This way they’ll know that it’s worth leaving their feedback and that they’re part of a great community! People get anxious before traveling. They’re worried that they’ll forget something or that something might be wrong with their booking, costing them their precious time and energy. If you want to dazzle your customers, you’ll want to take that into consideration and reassure them that everything’s going to be just fine. To do this, you should get your customers prepared for their upcoming trip. Send them automatic reminders – check-in hours, directions from the airport or the city center, and their booking summary. You can also send something extra, e.g. a handy guide on what to do in the area, or a list of events that are happening at that time. Trust me – they’ll appreciate that! Also, keep in mind that your customers are traveling. Be it locally or from abroad, they probably won’t have access to their laptop but they’ll be using their mobile phone instead. Make sure that your emails and website are responsive, so they can access all the important information at any time. And if you have an app they can use to check in quickly, make sure that they can download t before they arrive! Hospitality and travel industries are competitive markets. It’s not enough to just have the lowest prices to get people to book with you. First of all, you need to get found online. That means you need to invest in SEO and paid advertising. If you’re going to focus on search engine optimization, it’s very likely that you’ll also look into content marketing. Reasonably so, too. Content marketing can help you not only get found – as content ranks well in search engines – but also convert those who actually find you. A blog full of guides and articles around traveling, talking about interesting places to see, and inspiring them with beautiful photos is something that can be much more powerful than a simple discounted offer. Other than having a blog, you should consider making videos or recording a podcast – either as a guest or on your own, if you can afford spending the additional time on such a project. If not, maybe consider sponsoring one that’s already attracted an audience full of avid travelers – this way you’ll put your brand right in front of your target audience. If you do those, don’t forget about all the other marketing learnings you’ve gained so far. If you’re running a blog or a podcast, then collect a list of email addresses. Send them automatic RSS email reminders about new episodes, and invite them to join the conversation and share their photos with others. If you manage to build a community, you’ll see that they’ll be booking with you not just for the price, but for the entire experience. Now that you’ve gone through these 10 steps to getting more reservations on your travel website throughout the whole year, it’s time to reflect. See what you’ve done in the past and whether you can implement these activities into your own strategy. If you’ve had success with any of them already, then let me and other readers know by leaving a comment below. If you haven’t, but wish to know more about a particular step, then simply ask – we’re all here to learn and share our experiences.